With the increasing standardization of carton enterprises, the importance of new technologies for the development of the carton industry is increasingly highlighted. The use of new technologies instead of traditional techniques or manual labor not only improves production efficiency, saves labor costs, but also facilitates the management of enterprises. When reporters interviewed carton companies, most of the interviewees expressed great concern about what new technologies will be displayed at the 2005 International Corrugated Exhibition. In this "pre-show preview" technical article, readers will be introduced to the latest packaging box and mold design software and the use of shaftless transmission technology in the printing press. The mpact packaging box type and mold setting software of Swiss Zund AG, which is represented by Swiss Dachang Huajia Group, is a set of software designed for the manufacture of corrugated boxes, which can help solve the problems encountered in the process and save production. Time, to reduce the waste of manpower and material resources, to meet the personalized production, there are only about 140 sets in use in China. The entire software uses the prevailing Windows user interface and integrates all the operations in one interface so that the operator does not have to switch interfaces during the operation. All of this software has been finished, so no language problems will be encountered for you and me. In addition to further optimization of basic operations, such as drawing various shapes of graphics, rounding corners, etc., a design material library has been added to the latest version of the software, including handles, flaps, and various symbolic signs, such as: moisture-proof, easy Broken and so on. The operator only needs to drag the icon of these materials to the specified position to release, and these graphics are automatically attached to the already designed graphics. The corresponding basic materials can change parameters such as size or tilt angle according to different specifications. The software has a large library of corrugated cardboard boxes that collects hundreds of commonly used corrugated boxes and corrugated display rack plans approved by the European Union of Corrugated Manufacturers in the global corrugated industry for reference or use. Designers who design corrugated paperboard designs often ignore this ring - corrugated paperboards with different types of corrugated and corrugated types, occupying a number of spatial dimensions at the crease fold - leading to the production of corrugated cartons. Small size or inability to fold occurs. Although there are some books on the corrugated box floor plan available on the market, due to the same type of carton, if different types of corrugated material are used to produce, for example, A and C, or different types of combinations of three-layer corrugated and five-layer corrugated, The size of the budget is obviously different. Few books will list materials one by one. List the position and size of indentation that should be reserved. 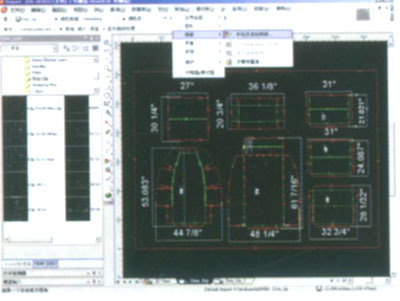 For this common phenomenon, Impad this set of software has automatic calculation and compensation functions, as long as the box-shaped floor plan is selected, the input paperboard æ¥ž type (such as Bæ¥ž core paper Eæ¥ž core paper and five layers of corrugated cardboard, etc. ), different grams Heavyweight paper and paper and corrugated boxes and their components. Including tongue, flap, etc.) The actual size (such as length, width, height), the computer will automatically adjust the carton pattern size and mouth thickness to automatically reserve accurate indentation folds. This eliminates the need for manual calculations. In addition to saving time on production, unnecessary errors are avoided. In addition to the specific graphics in the graphics library already stored in the software, in order to match the designer's creativity and end-user needs, even if it is a standard or a corrugated product drawing other than the graphics library, as long as the same parameter data is input, the software can also calculate The actual required size. The corrugated products factory can also input into the computer according to the thickness of the facial paper or core paper used in its own factory. This software can define these parameters as parameters and meet specific needs. These functions are provided by the software. "Parameter Editor" completed. The same software on the market can usually only provide a corrugated box image without color images, while the Impact software can combine the image to be printed: with the carton structure. The entire function does not require special computer programming techniques. It only needs to follow the software prompts and do it step-by-step. In addition to being able to budget actual size, Impact is a typesetting software. The shape of corrugated cardboard boxes has three sharp octagonal shapes. lmpact's typesetting system can design an optimized arrangement method for the most provincial materials, saving costs and reducing the production of waste products. The software can automatically calculate the actual size of the corrugated box (accurate to the length of each cutting line and indentation line), the actual weight of the carton, the amount of materials used, and the typesetting method. In this way, the software can calculate the cost of making each type of corrugated box in the shortest possible time, which is very convenient for the end user and the carton factory. The carton factory can use this information to select the most suitable base material. To facilitate the needs of users, division pact software can be split and used. The quotation function can be independently installed in the sales or accounting department of the factory to facilitate the operation needs of different departments. We often emphasize the importance of prepress status because when the corrugated board is printed, even a small mistake in the prepress stage will be presented one by one, and it will be difficult to remedy it, causing time, money, human and material astronomical loss. The pact boxing software has a unique 3D stereoscopic display function. After the operator can input the Chinese characters and color images on the graphics, size, and even the corrugated boxes, the 3D stereoscopic function can be used to gradually fold a plane graphic into corrugated boxes from different angles, and the whole process of the folding box can be shot as a short film. In addition to samples that can be previewed in three-dimensional 360 degrees, it is the best material for a carton factory sales presentation. The software also integrates the V-ML ML virtual design language design. End-users can â€œembedâ€ the physical items that need to be packaged into the entire 3D stereoscopic image, and can freely adjust the light source to view the best design. These 3D stereoscopic images can also be arranged in different positions to achieve the "what you see is what you get" effect. The cost of producing personalized corrugated products is not expensive. A uniquely designed and beautifully printed corrugated product often brings unexpected value-added performance to the product. Most corrugated display stands require the combination of two or more corrugated products. The value of corrugated products for the consumer crystal market is not confined to the cost of the corrugated products themselves, but it focuses on the practical effectiveness of upgrading the product.